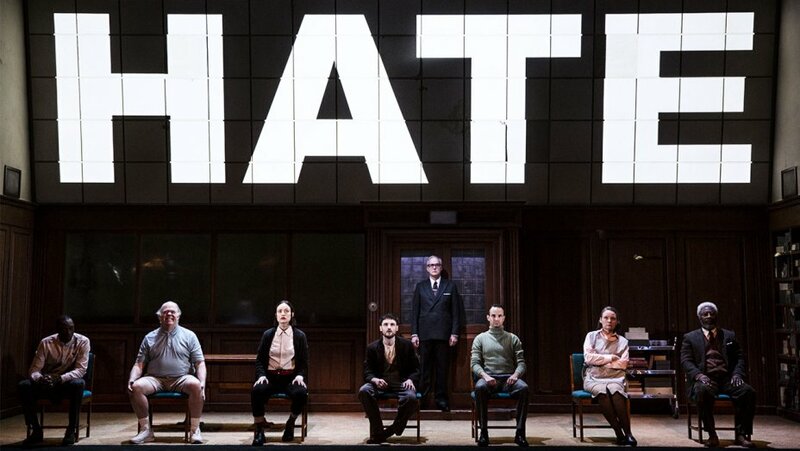 1984, a theatrical staging of George Orwell’s prophetic novel, was the big Broadway opening that reaped a whirlwind of attention at the start of the season. And deservedly so, if for no other reason than Reed Birney’s chilling performance as the evil character O’Brien, smartly underplaying the role with avuncular charm. Coupled with his heartbreaking performance as the father in the critically acclaimed The Humans, Birney continues to cement his reputation as the most gifted performer of his generation. And 1984 was pretty good, too. Directed in a style that attempted to make the story seem more modern, it had the opposite effect, making the play seem dated even as the themes were incontrovertibly in the moment. What was perhaps most curious about the production was the audience, necessarily split between older patrons who had read the book (it seemed everybody of a certain age had almost certainly read it either in high school or college), and the younger audience that perhaps knew the title but not the genuine content of the story. The reactions varied accordingly, with older patrons judging the production based on their recollections of the book, while younger folks, coming to it fresh, had a more visceral, violent reaction to the material, finding it shocking and powerful. Regardless of which camp one came from, it was certainly refreshing to come to a major Broadway production that was both politically and artistically serious, without pandering to current politics but, rather, providing light to our present circumstances through the prism of a story that was originally published in 1949. The company known as PTP/NYC, which has been creating excellent theater every Summer, has very nearly topped itself this year with their twin productions of Tom Stoppard’s Arcadia and Howard Barker’s Pity in History. The Barker play, similar, if more comically ironic, than Mother Courage, was a bold and intriguing contemplation of the stupidity of war. But it was the company’s production of Arcadia that fully impressed because the play has been done twice on Broadway, the first time to rapturous reviews (including ours) when it was produced at Lincoln Center. When it was revived on Broadway, it was a dud; proving once again that a great play cannot always survive a poor production. Seeing the show for the first time on a small stage (PTPNYC performs at Atlantic Stage 2 on West 16th Street in a theater so deep underground one need not turn off a cell phone; there’s no chance your phone will ever ring! ), we were deeply impressed with the caliber of the direction (Cheryl Faraone) and the actors; they delivered the play’s keen intelligence, wit, and it’s heartbreak with enviable style. In particular, the actor playing the pivotal role of Septimus Hodge, Andrew William Smith, was a total revelation; he was sensational! 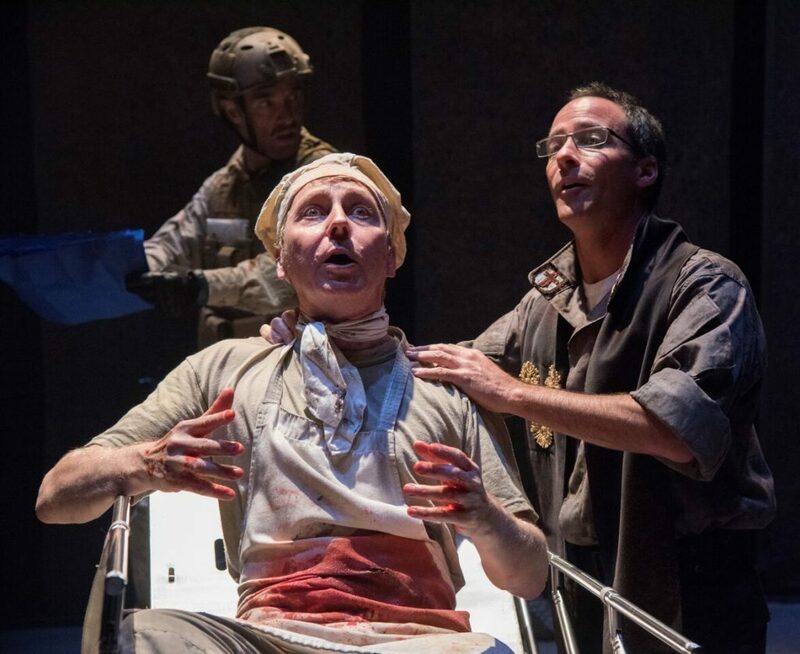 Another regular Summer offering, Summer Shorts at 59E59 Theaters, disappointed this season. In the past, there was always one or two of the shorts in each of the two programs that made the enterprise worth your time. Not so this Summer. Even the usually reliable Neil LaBute, whose works heroically anchor one of the two programs every Summer gave us a solid but not terribly special piece this year about a couple of aging tennis stars. Well, every program is entitled to an off-year. We’ll look forward to a better season next Summer.